Hello and welcome back to my crafty blog. 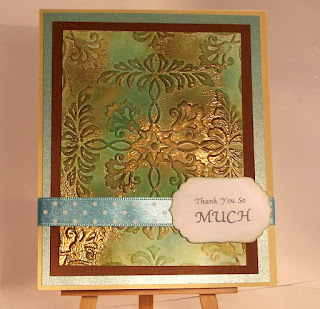 My post today is my DT card for the Ditzy-Craftymessers Challenge Blog new challenge . Embossed and Distress. Crimsoncloud.co.uk is owned by Linda and Melanie, and is a mother/daughter venture - a way to indulge their joint passion of cardmaking and papercrafting. Linda, based in South Africa, is the designer - developing their exclusive range of stamps, die cuts, digital stamps, svg cutting files and card kits which reflect their styles of card making. Melanie is based in Brighton, Sussex and runs the web based shop - only selling products that they have tried, tested and love using. New products are regularly being tested and added to the range. For ideas and inspiration, check out the gallery on the Crimson Cloud website, or follow their blog on www.blog.crimsoncloud.co.uk with new posts and samples being added at least once a week." Take a peek at the DT projects the other Ditzys have made and be inspired to join in with us. Here is my contribution for the current challenge. A piece of white card stock was embossed using a Sizzix embossing-folder that had first been rubbed over with a gold shimmer ink pad. Making sure the first layer of ink is dry, rub over the embossed image with blue and green distress inks, higlighting the raised part of the embossing. Roughen up the edges with a paper-distressing tool and here and there a rubbing with some fine sandpaper. To finish the card, a dusting of gold embossing powder and set with a heat-gun. The card is completed with a teal polka-dot ribbon and a sentiment printed from my PC, die cut using a Nestabilities Label die. We are also looking for new DT members, so don't forget to check this out too! Love your card, its a real work of art. WOW .Stunning card to share . Love all the detail on embossed piece .Glorious colours .